Cooperation to combat hate crime within two different communities has been praised at an International meeting of States and non-governmental organisations. 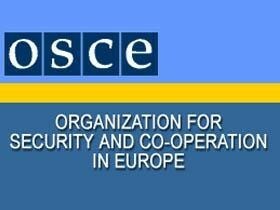 The UK case study of co-operation between a Jewish and Muslim organiasation has been praised after being presented to an audience on 24 September during the Organisation for Security and Cooperation in Europe (OSCE) meeting. It demonstrates practical results of co-operation between faith communities and the government in combating hate crime which it is hoped can be replicated elsewhere in the OSCE region. Dave Rich from the Community Security Trust (CST) set out the work they had carried out with the police and others in monitoring hate crimes and training government officials in the UK. They key points were that was a need for transparency about methods and reporting criteria and a desire to provide support for victims and increase their confidence in reporting hate crime. Where a partnership with the police was possible the potential impact of their work was greater. Following far-right street violence and attacks on places of worship, the Muslim communities had been encouraged by the police to consult with the CST on security. This led to some practical examples of communities working together, such as following the burning down of a Somali community centre in Muswell Hill, the local Jewish community had provided practical assistance including the use of their community buildings. This was not inter-faith dialogue but practical co-operation and support. Fiyaz Mughal from Faith Matters stressed that CST had set the groundwork for the Muslim communities to follow and had offered “hugely helpful” moral support when Faith Matters came under attack. There was the practical advice on how to classify cases and how to tackle the problem of hate crime on the internet, but also the importance of standing together in solidarity when after the brutal murder in Woolwich the number of daily attacks of Mosques increased ten times over according to police figures. Communities were most effective in combating hate crime when they worked together. Fiyaz echoed Dave’s thoughts on the importance of working with the police in combating hate crime and the benefit of providing training for the police on understanding the communities better. The Muslim communities in the UK were very disparate and the victims of abuse or violence were often women who wore religious clothing. 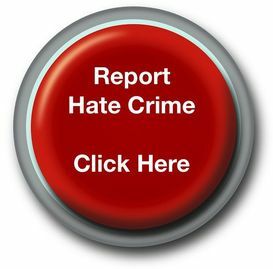 Efforts by the police in reaching out and building the communities’ trust and confidence in the system would pay dividends in terms of understanding the extent of hate crime. The attendance at the side event of ODIHR experts on hate crime, freedom of religion or belief and combating discrimination against Muslims as well as representatives from civil society advocacy organisations from the Muslim, Jewish and Christian communities ensured a vigorous question and answer session followed. The various themes put to the panel included antisemitism from within the Muslim community, the problem of hate crime on the internet, the balance between freedom of religion and expression, the unwillingness of the police to recognise antisemitism or the lack of trust amongst the Muslim communities towards the police, and questions around collection of data methods. The inclusion of the UK National Hate Crime lead, Paul Giannasi, on the panel and the Director of the Inter-parliamentary Coalition for Combating Antisemitism (ICCA) in the front row, allowed the audience to hear practical examples of how to respond to these issues. The prevalence of hate speech on the internet was beyond what the police could cope with even if a highly unlikely common legislative solution could be found. However counter-speech, educating community members on how to report abuse on-line and above all the collaborative work between civil society and internet service providers as demonstrated by the ICCA had the potential to challenge the impact of hate speech on line. There was an admission that working with the police was not always possible across the OSCE region nor had the UK always got this right. Following the murder of Stephen Lawrence there had been a change of mindset among the Metropolitan Police and a determined effort to rebuild the relationship with the Black communities. There was the option of embarrassing a country into action through publicity and pressure and the point was made that the involvement of a civil society organisation in the reporting mechanism meant that there was an extra group who could lobby the respective government even if the police chose to ignore individual complaints. The existence of the EU working definition on antisemitism also meant that countries had a useful set of guidelines if they choose to call on them. Faith communities needed to have the confidence that if they reported hate crimes that they would be acted upon. The UK recognised through the crime survey for England and Wales that hate crime was going underreported and was determined to change this. There was also an awareness that the language around hate, faith and race was rarely static and there needed to be ongoing conversations with the police about the different manifestations of hate crime. The collection of data did not need to be expensive what was important was agreeing a definition for recording purposes which provided a framework which could be replicated across borders. Blasphemy, defamation of religion and freedom of expression were also raised. Where do you draw the line between defending individuals and defending their faith? The panellists responded that it was the believer rather than the belief that mattered but that there were no hard and fast rules. Context was very important in determining whether something constituted a hate crime or not, what was the tone of the speech, the purpose, who were the audience, was it a one-off statement or a repeated behaviour pattern? It was a difficult balance to strike and often for example anti-Israeli feeling masked antisemitic attitudes. However the panellists made the point that hate crime tended not to be political but driven by xenophobia and the benefit of this case study was that it provided an alternative narrative between Jews and Muslims than Israel/Palestine. The Chair concluded the event by drawing attention to the work of the international community to replace the defamation of religion agenda with the objective of combating intolerance and promoting freedom of religion or belief for all.